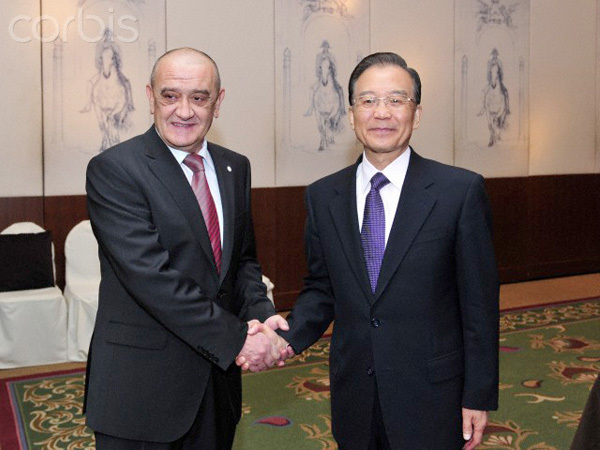 Bosnia and Herzegovina and the People’s Republic of China have historical bonds of friendship. The relations between the two peoples go back to the period of the Silk Route, which not only enabled trade-links between their peoples, but also paved the path for social and cultural bonds to be tied. 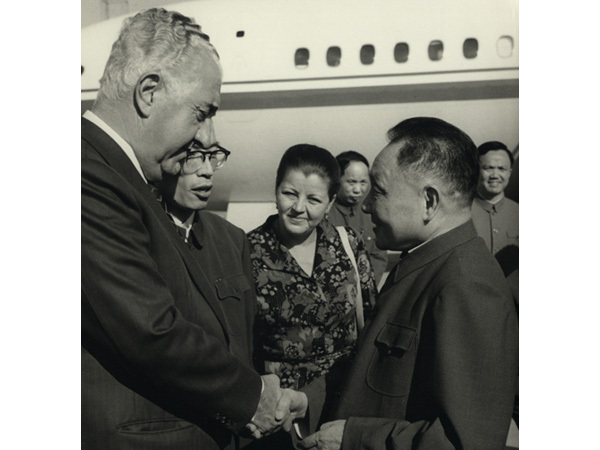 Official relations with the People's Republic of China have been maintained since 1 October 1949, when the then Federative People's Republic of Yugoslavia recognized PR China. 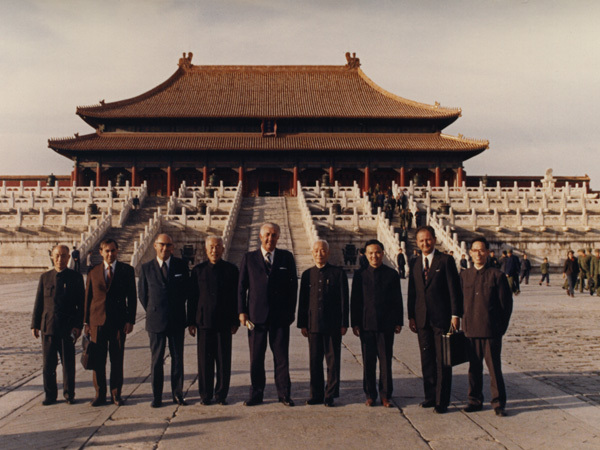 The Republic of Bosnia and Herzegovina, as one of the six successor states of former Yugoslavia, was recognized by People’s Republic of China on 3 April 1995. The Embassy of People’s Republic of China was opened in Sarajevo during March 1997 while the Embassy of Bosnia and Herzegovina was opened in Beijing in January 1999. Bosnia and Herzegovina pursues "One China" policy and thereby recognizes the People’s Republic of China as the sole and legal representative of China. 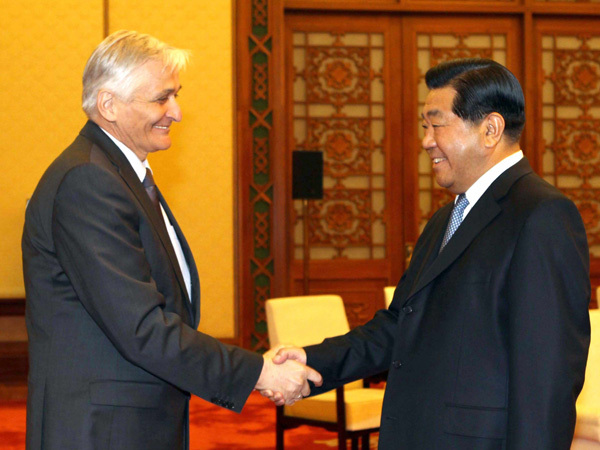 There are no outstanding political issues between Bosnia and Herzegovina and the People’s Republic of China given that the two countries follow peaceful foreign policies based on friendship, mutual trust and respect for national sovereignty and territorial integrity, as well as non-interference in internal affairs and mutual benefit. 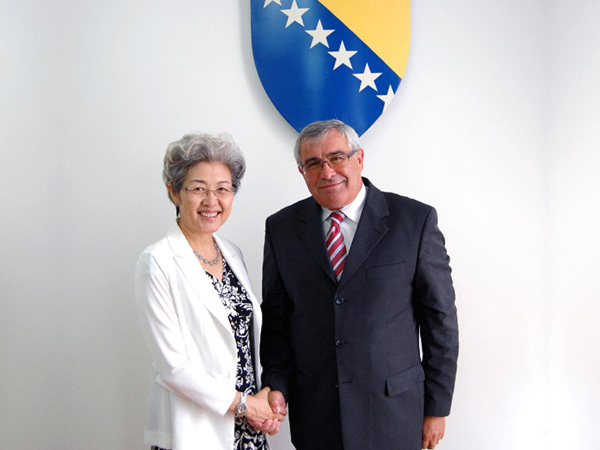 Given its impressive historical and cultural heritage, its unique location, its economic power, and Permanent Member Status in the UN Security Council, Bosnia and Herzegovina holds the People’s Republic of China as a very important friend. 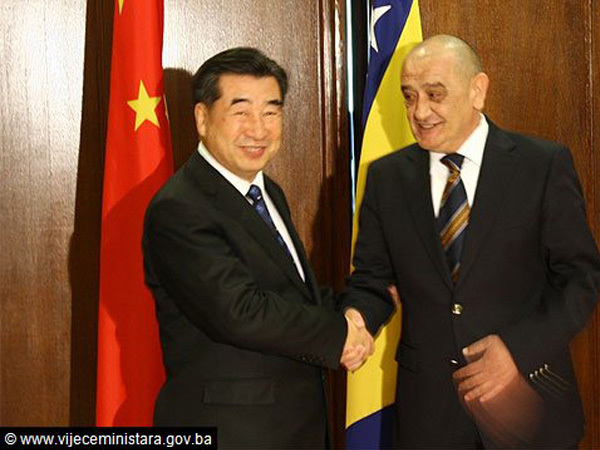 The 20th anniversary of the independence of Bosnia and Herzegovina echoes with the 17th anniversary of our bilateral diplomatic relations with the People’s Republic of China. 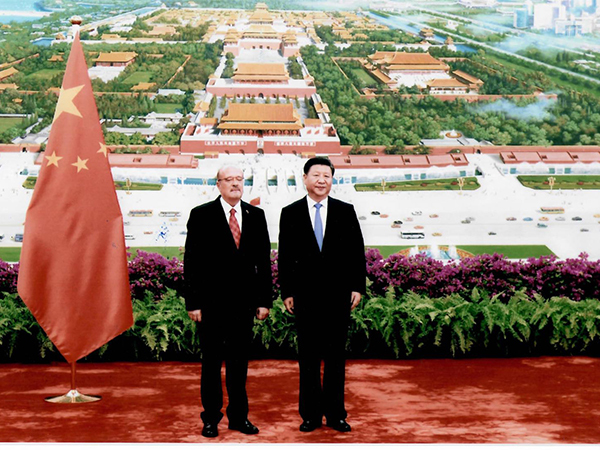 Over the given period, especially in recent years with our concerted efforts, Bosnia and Herzegovina - PR China relations have experienced a healthy development. Both countries have collaborated in the political, parliamentarian, municipal, cultural and educational fields as well as in the field of defense. 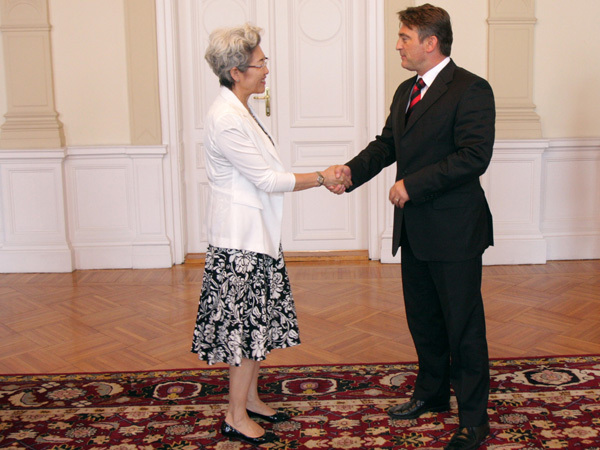 The high-level contacts and mutual visits between Bosnia and Herzegovina and the People’s Republic of China have become more frequent; mutual political trust has been increasingly strengthened. The bilateral agreements between Bosnia and Herzegovina and the People’s Republic of China, 18 of which have been signed to date, whilst 7 are under negotiation in addition to a number of others that have been initiated, create a firm footing for further efforts in all areas. 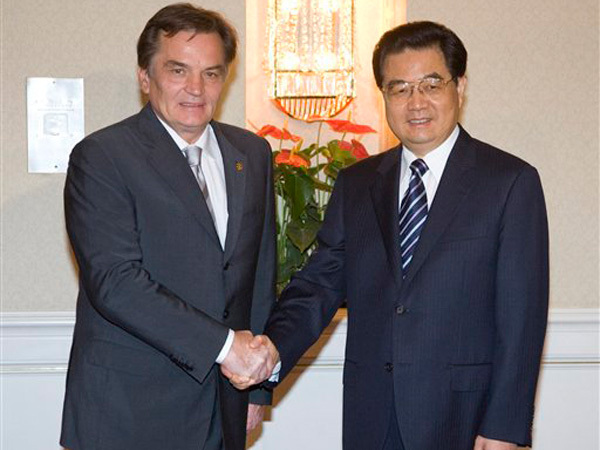 The most important bilateral agreements signed between the PR China and former SFR of Yugoslavia, which are confirmed by Bosnia and Herzegovina in 2002, as a successor of SFRY’s, are Agreement on Cultural Cooperation, Agreement on Veterinary Cooperation, Agreement on Plant Quarantine and Protection, Consular Convention, Agreement on Avoidance of Double Taxation, Agreement on Cooperation in Customs Affairs. 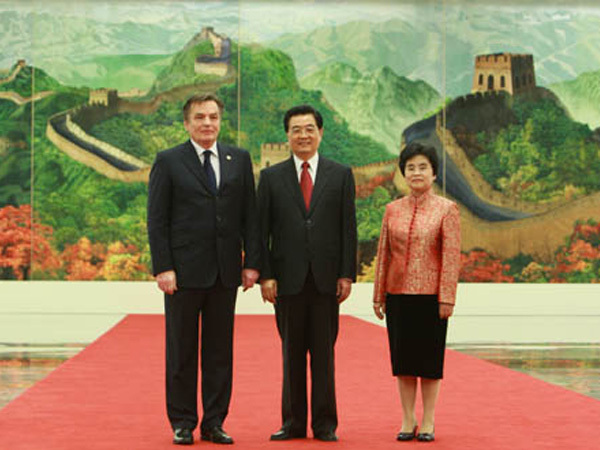 The bilateral agreements signed between the PR China and Bosnia and Herzegovina in the period 1995-2012, is as follows: Agreement on Cooperation in Economy and Trade, Agreement on Promotion and Protection of Investments, Agreement on Cultural Cooperation, and Agreement on Cooperation in Economy and Technology. The significance of the above-mentioned agreements is huge. 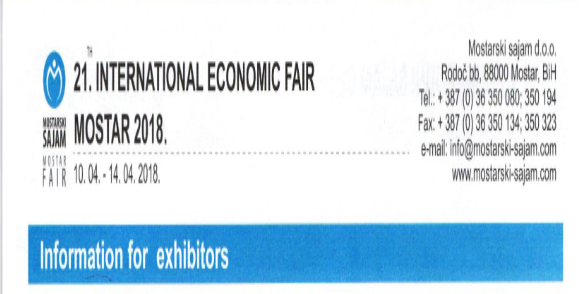 For instance, Agreement on Avoidance of Double Taxation, which means that companies only have to pay tax in their home country, accelerate the flow of investments into the signatory countries, encourage joint ventures, create more investment opportunities, expedite the transfer of technology and constitute a legal framework to bolster economic cooperation and enhance strategic economic partnership. However, trade and economic cooperation between the two countries has yet to see a rapid development. Bosnia and Herzegovina and the People’s Republic of China each embody their own advantages and both countries are mutually complementary to a high degree with very wide prospects for cooperation. 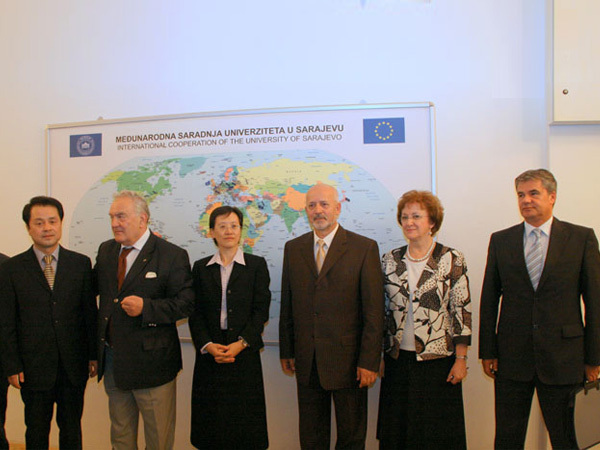 Bosnia and Herzegovina has a geo-strategic position and a favorable trade arrangement with the European markets, great potential in the development of infrastructure and power producing sectors, in addition to skilled and competitive labor force as well as favorable legislation for foreign investments. Bosnia and Herzegovina is a relatively small society with low public debt per capita with palpable needs of improving its infrastructure and develop its industrial capacity. Withal, the People’s Republic of China has emerged as a major source of foreign direct investment (FDI) outflows. The superb technology and competitiveness as well as the financial leverage of the People’s Republic of China are the key comparatives of strength in the global market. Furthermore, the ever-growing domestic demand in the People’s Republic of China represents the most powerful force to the global economic recovery where all international players hope to secure their market share. 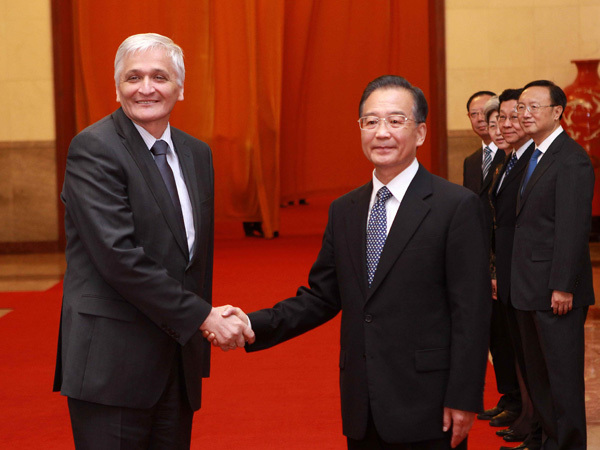 Bosnia and Herzegovina accentuates great importance to the exchanges and cooperation with the People’s Republic of China. We purpose to realize mutual benefits and a win-win situation by the implementation of heavier presence of Chinese corporations in our country.